The holidays are over. Time for me to be my #BestSelf! It's 2018, and I've decided to walk in my truth: I'm obsessed with vitamins and supplements. Seriously, if you saw my vitamin stash, you'd probably give me the Luvvie judgey face. That's why when I learned about the Camille Rose Naturals Super Foods vitamin, I literally blew my lid - for a few different reasons. One, Janell Stephens (Camille Rose Naturals founder) is an OG in the natural hair game. 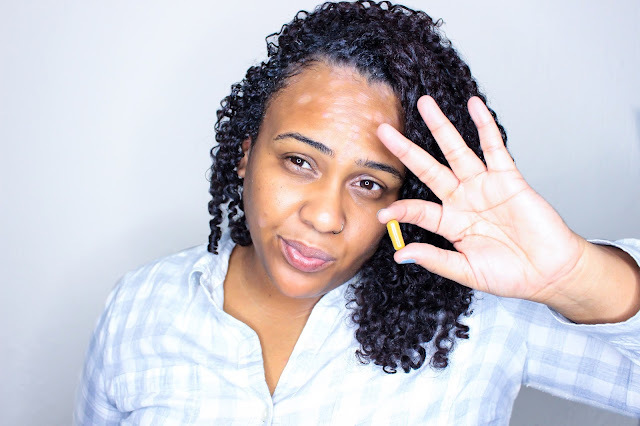 Camille Rose Naturals was one of the earliest brands that catered specifically to us, and was one of the first to land inside big box stores like Target. Since then, Janell has expanded her haircare line and even made a foray into home and health. Did you read that last section? HOME AND HEALTH. I've been cleaning my house with the Marcona Marnier All Purpose Cleaner for the past few weeks, and let me tell you - it's literally amazing. But that's another story for Instagram. Let's get into this health bit. I'm tryna be drippin' in finesse 90 days from now! In Target stores all across the country, Camille Rose Naturals has launched Super Foods, a vegan vitamin blend aimed at growing longer, stronger hair and nails. 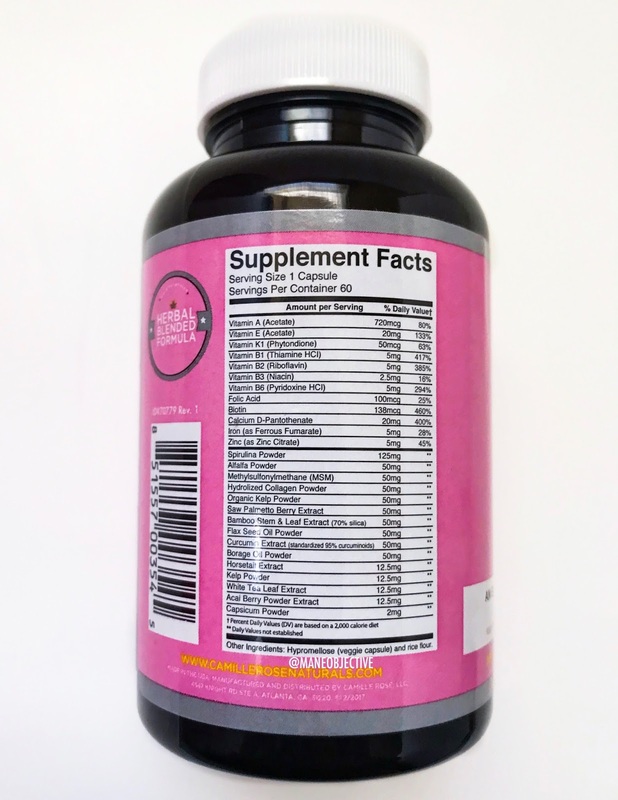 Super Foods contains your usual suspects like Vitamins A and E, biotin, folic acid, and MSM. But Janell and Camille Rose Naturals are changing the game in two MAJOR areas - ingredients and affordability. Super Foods retails for $20 on the Camille Rose Naturals website and in Target stores. And what's so affordable about that? Each bottle contains 60 servings. You only need 1 Super Foods vitamin per day. You read that right - each bottle will last you 2 months. But what really excites me about Super Foods? Janell and her team kicked things up a notch in the ingredients department - adding in spirulina, alfalfa, kelp, collagen, bamboo, and flaxseed to an already robust hair growth vitamin. The full ingredient list. Click to expand. Spirulina is isn't a grass, leaf, root, stem, or extract of any sort. Surprisingly enough, it's a cyanobacteria commonly known as Blue Green Algae. Spirulina is comprised of over 70% protein, along with high amounts of Vitamins A, B-12, and E - making it the perfect green ingredient to power healthy hair and nail growth (and regrowth in thinning areas).Word on the street is it restores youthful vitality and glow to skin, too! This powerful sprout is rich in Vitamins A, B, C, E, and K, plus calcium, carotene, iron, potassium, and zinc - and works to stop hair loss in its tracks. When taken regularly, alfalfa is believed to strengthen the roots of the hair, preventing or slowing hair loss while accelerating growth. I've talked about the benefits of collagen before - but in case you need a quick refresher, here you go! Collagen types 1 and 3 are often paired together, as they support skin, muscles, bone health, and hair and nail growth - thanks to the 19 amino acids present and their essential functions. Over 90% of the collagen in the body is contains types 1 and 3. The amino acids present in these collagen types help promote a healthy metabolism (study), stabilize collagen production in the body, and build protein within the body (hey muscles and hair!). Bamboo isn't just great as an extract - but it's a phenomenal supplement, too! Bamboo has the highest amount of silica found in any plant - up to 70%. Silica is a key ingredient for hair and skin health that naturally occurs in our bodies - but depletes as we age. Supplementing with bamboo is an all natural, plant-based way to boost collagen production, restore luster and health to hair, accelerate hair growth, and renew skin. Flaxseeds are like the gift that keeps on giving. Not only can you use them for gel and oil, but as a supplement, these Omega-3 an Vitamin E rich seedlings have a number of benefits for hair and scalp. Rich in antioxidants, flaxseeds help fight free radical damage on the hair and skin - reducing signs of aging, wrinkles, brittleness, and dryness. Flaxseeds also help improve the elasticity of hair and skin, and over time, can help ease symptoms of dandruff, eczema, and psoriasis. Now, let's get on with the good stuff! You guys KNOW I wouldn't just talk about a vitamin and not be about it! 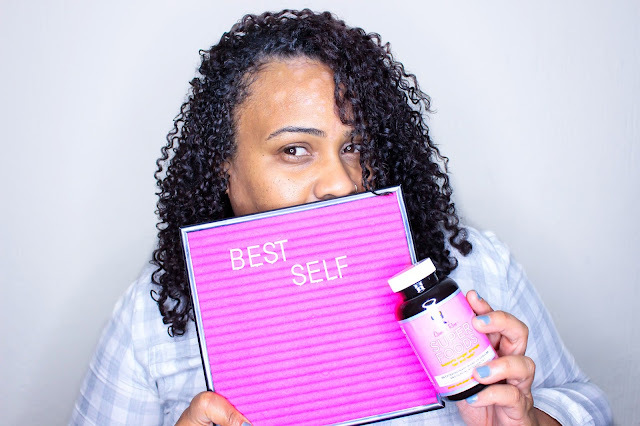 Starting today, January 15th, 2018 I'm taking the Camille Rose Naturals #BestSelf Challenge with the new Super Foods vitamin. 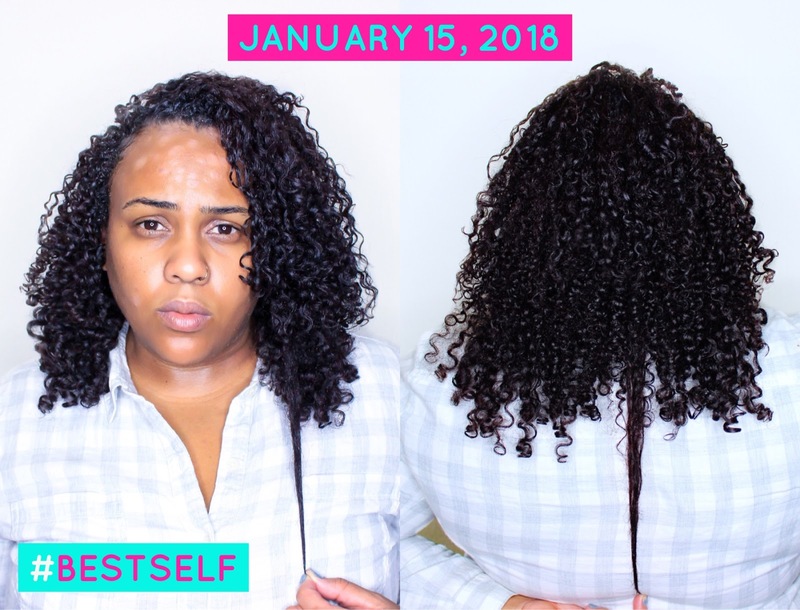 At the end of the 90 days, I'm hoping to experience increased hair growth, more energy, clearer skin, and an overall improved sense of wellness. 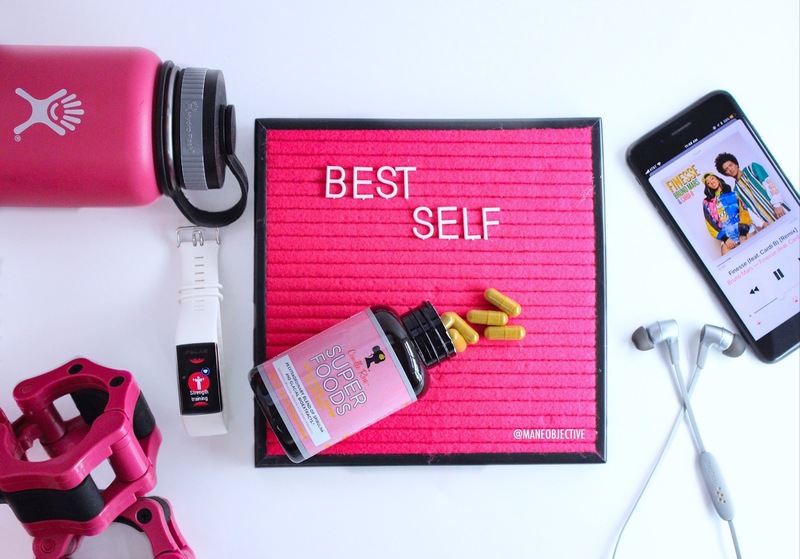 You can participate in the #BestSelf Challenge with Camille Rose Naturals, too! Visit the Camille Rose Naturals website and learn how to enter, how you could win $1,000 PLUS Camille Rose Naturals products, and more! Here are my starting hair growth photos. Disclaimer: I don't look "Instagram Ready". This is day 1, dry and shrunken hair in all its unflattering glory. I don't want any confusion about my growth progress, so I wanted to start on completely un-manipulated hair. If you're not already, make sure to follow me on Instagram @maneobjective and @30daysofdope! I'll be sharing my #BestSelf updates and Super Foods progress on both accounts! Y'all ready to get growing and get glowing? I know I am! This post is sponsored by Camille Rose Naturals.